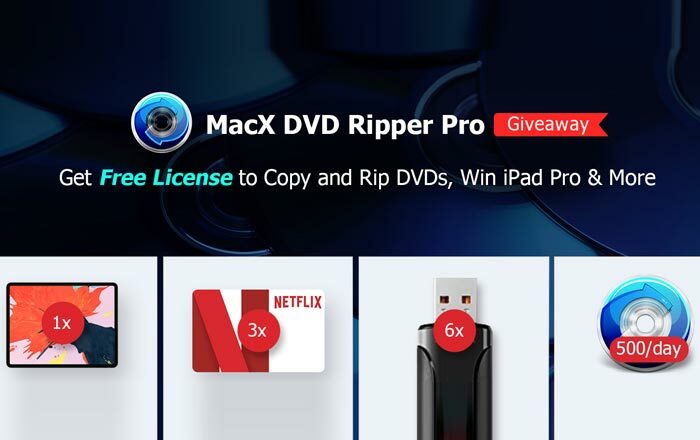 MacX DVD Ripper Pro is one of the few useful tools available out there for those who wish to convert their old DVDs into easily accessible media files. Doing this frees you from the anxiety of losing your DVD collection due to scratches occurring on the discs, or them getting lost. Moreover, when you rip your DVD, you can have it converted into any format you want. This enables you to watch the content on a variety of devices, including your PC, your iPhone or your Android phone. For that matter, you can even have your files converted to work with devices like the PS4 or the Xbox One. On all other such programs we’ve used before, we’ve encountered some common problems. More often than not, we were greeted by the “No Valid Source Found” error. And we also had problems with the software crashing or hanging in the middle of the conversion process. And sometimes, when these tools failed to rip DVD, the audio ended up mixed and out of sync. During our time with MacX DVD Ripper, we never encountered these issues. The makers it seems have created this software keeping in mind these problems, and coming up with solutions for them. This allows you to easily backup any DVD you have to your Mac, your hard drive or any other mobile device. And apart from being incredibly fast in its conversion speed, this program is even versatile in its offerings. 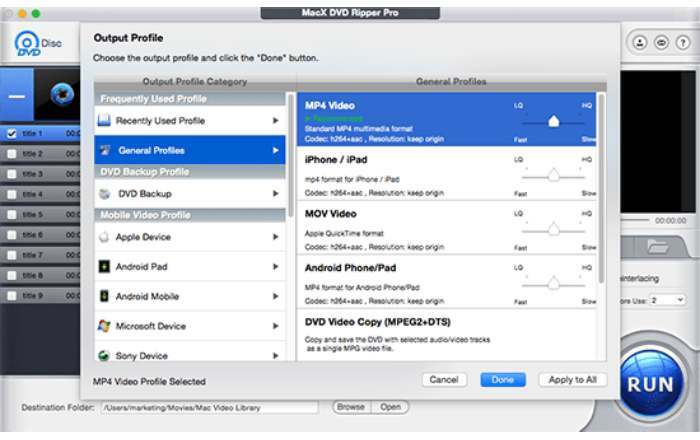 If you’re wondering about copy-protection, MacX DVD Ripper Pro has you covered. It provides wide support for knotty DVDs like Japanese DVDs, 99-title DVDs, DVDs of TV shows, workout DVDs and other recently released DRM formats. It is equipped with the means to completely remove DVD encryption techniques like CSS, region code, RCE, Sony ARccOS, Disney Fake and others. What this means is that no matter what your disc type is, the software will be able to take care of it. It is even capable of completely backing up your DVD in its original form. By using the ‘copy DVD to ISO image’ option, you can make a full 1:1 copy of the disc, that includes video, audio, subtitles, and all other details. With it, you can create a completely new DVD or just have it stored for backup purposes. Level-3 hardware acceleration is one more aspect of this program that is a big highlight. CPU and GPU components made by Intel, Nvidia and AMD, are leveraged by it to make the conversion process fast and smooth. You will see a great increase in speed once this feature is turned on. Using the hardware to decode, process and encode your videos, this software allows you to rip a 2-hour movie in the span of just 5 minutes. MacX DVD Ripper Pro grabs two useful built-in features in the form of the “High-Quality Engine” and the “Advanced Deinterlacing Accelerator.” Without going into technicals, these two tools make sure that the output quality of your converted files is kept the same as the original. You hence need not worry about losing the great video and audio quality that’s provided by your DVD. More than 180 video formats are supported by this software. That means, you can digitize your DVD into formats like MP4, MKV, HEVC, H.264, MOV and many more, depending on the device you are going to use to view the resultant file. That said, it also offers preset profiles to save your time. All you need to do select your device from the long list provided, and the program will take care of all the other details. Using MacX DVD Ripper Pro is pretty simple. In fact, its interface itself has an easy-to-understand tutorial posted on it. Once you’ve inserted your DVD into the drive, you can click on the DVD icon at the top. After that, it’s time to select your output format from the large list that is in front of you. As we said, a variety of formats and presets are available to make your job easier. All you need to know is what device you’ll be watching your converted files on. With the format chosen, a list of all the available chapters in the DVD will be shown by the software. This is where you can choose the chapter you want and make other selections like subtitles and audio tracks. So if a DVD of an English film has a French dubbed audio track, you can have that slapped onto your converted file as well. Another useful ability is to trim your DVD file by clicking on the edit option next to each chapter. This allows you only to have particular parts of your DVD extracted, thus saving you some valuable time. And after you’ve made all your selections, make sure to keep the boxes next to Hardware Acceleration checked. As mentioned above, this feature leverages the hardware inside your machine to speed up the process of digitizing your DVDs. The only thing left to do now is hit the big blue Run button, and your file will be ready in a few minutes. That said, MacX DVD Ripper Pro is good for a number of other things. It gives you to the ability to extract video clips or segments from your DVD to insert into your projects. You can also use it to crop the frame size of your videos to edit out any unwanted borders. Another important feature is the ability to add external subtitles to your files in both hardcode and softcode form. All this makes this software an irresistible tool for those looking to back up their DVD collection. It is available at a discounted price of $29.95, but you can participate in a giveaway that’s live right now. To be eligible for that, if you’re using a computer, you will need to submit a 1-minute survey, and if you’re on your mobile, you will need to submit your email ID. Every participant will get a chance to win an iPad Pro, Netflix gift cards and other prizes by sharing the campaign on Facebook. This giveaway will last only till February 20, 2019. If you end up missing the giveaway, there’s still one more bonus in store for you. All those who buy the full version of this software will be gifted a free copy of MacX MediaTrans, an iPhone-focused data transfer tool made by the same company.